When Greg Tanner walked away as Director of the BYU youth program—EFY—after 12 years, it was a leap of faith; but one he felt he had to take. He knew it was time to bring forward a vision for a youth program that had been building in his mind, and in his heart. The powers-to-be at EFY didn't seem to want more "change." Greg, on the other hand, couldn't stop thinking about change. He saw how the times had changed, he saw how the responsibility of the youth had grown and changed, he saw the mission-age change, and he took to heart the words of the brethren who expressed a need for our homes and our communities to be an MTC. Today, Greg's vision has become a reality, and BASEcamp is helping LDS youth learn how to Believe, Act, Serve, and Endure. When asked the major differences between EFY and BASEcamp, Greg explains that BASEcamp is about active learning, opposed to passive learning. Greg carries with him a passion for teaching the youth, and understanding their great responsibility. He feels their lives are full of incredible challenges, but also opportunity. He hopes to help them rise to the occasion. With that in mind, Greg believes there is a need beyond simply having the speakers and classes. Rather, BASEcamp is filled with workshops where youth actively participate. The core curriculum focuses on learning, and learning to teach. Greg explains that you have to learn something in order to teach it. The youth role-play with missionary discussions, and the participants are asked to teach what they know. A big question posed to the youth is: "How do we now help people, knowing what we now know?" The youth are encouraged to think about service, and how their knowledge can benefit others. Similarly to EFY, they have counselors for the children, but these leaders are instead referred to as "Guides." Greg uses the description of someone who guides people up the mountain, but those climbing still have to climb, and do the work. Greg strives to make BASEcamp more affordable, and feels strongly about families attending together, because there is more strength and knowledge in numbers. If siblings attend together, the first participant is full price, and the other children--only half the cost. Thirteen-year-olds get to attend BASEcamp, rather than EFY's strict 14-years-old and older policy. Greg sees no reason to wait. "Sure, we have a dance," he says, and many wonder if a 13-year-old can dance, but Greg says: "How many 18-year-olds can dance?" He says the dance is a social activity, where line dances, and switching partners during slow songs happens. In this day and age, and with the changing times, he repeats: "There is no reason we shouldn't want our 13-year-olds to participate." It seems an interesting time for such a shift, as a new program similar to the Boy Scouts of America—TrailHead USA—has recently made waves after many were discouraged by changing policies of the Boy Scouts. And some might wonder if it is not coincidence that these popular, well-known youth programs are getting new competition from freshly-created ones. But Greg says it is coincidence on his part, but admits that these changes could be a reflection of the changing times, and the powerful generation now being raised, with more responsibility than ever before. He says he isn't looking for competition. Many have said: "You're crazy to take on EFY," but he explains that he is "not trying to take a piece of the pie, but rather, add a slice." He said there are roughly 200,000 seminary-aged youth throughout the world, and roughly 35,000 participate in EFY. "What if we could double that number? … Or triple the number?" he says excitedly. He said he isn't trying to steal participants, but hopefully give these programs greater awareness. Greg has the drive. He's not a trained therapist, and his degree is in accounting. But he and his wife feel it is their calling. He quotes the beloved primary song, I am a Child of God: "Lead me, guide me, walk beside me". He says that we need to help the youth. "They are responsible for finding their way, but we are here to lead and guide them." In an email, Greg wrote: "A base camp of a high mountain is NOT at the bottom of the mountain; it is usually found at least half way up. It takes great effort and preparation just to climb to the base camp. A base camp is a place of refuge from storms, a place to gain more knowledge for the next phase of the climb, a place to receive instruction and nourishment and strength. Likewise, BASEcamp is a place of peace and safety where the youth will participate in activities to prepare them to reach their summit and continue their climb to the mountain of the Lord." At the end of this summer's trial run, at the testimony meeting where youth shared what they learned, and how they felt about the Gospel of Jesus Christ, community members were invited to listen, including local missionaries, and even parents. There, Greg realized what was so right about this program. 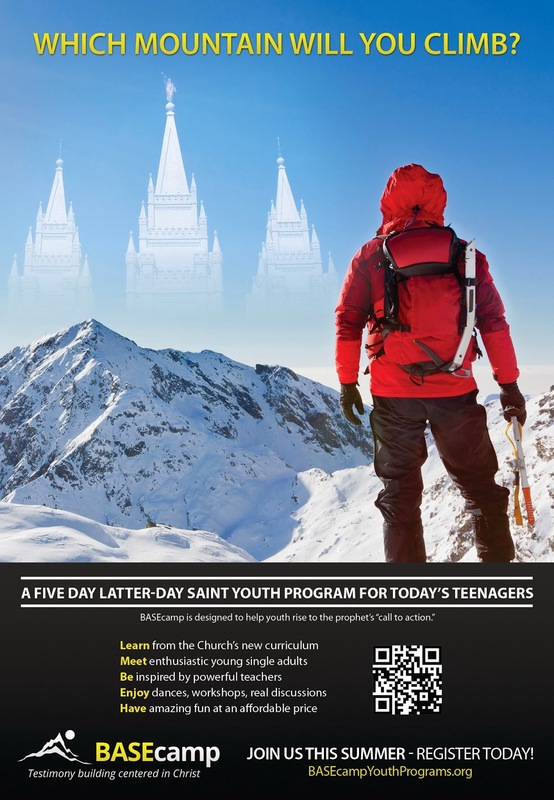 It wasn't just helping the youth, but was also helping the missionary work, the community, the family, adults, and anyone searching for more meaning. His belief was becoming a reality: That if we teach the youth, and then teach the youth how to teach, if we can show them how they can help, the world is a better place. If anyone is interested in donating or contributing in any way to help youth attend BASEcamp, please contact Greg Tanner. BASEcamp is held in a variety of settings: college/university campuses, stake centers, schools, girls' camps, etc. Some settings offer housing options, other sessions have no housing. They are also looking for more open locations to hold the program this summer, and bring the opportunity to as many youth as possible. Lauren Johnson Henderson, newly-hitched and living in Boston while her husband attends school, was most recently a T.V. reporter for ABC 4 in Salt Lake City. Presently job searching in her new city, she is happy to be a guest writer for Modern Mormon Men. 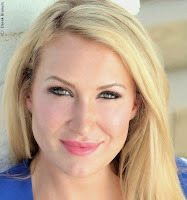 Also check out Lauren's previous guest posts.